Moving to a new place can be equally exciting and stressful but once you decide to move to a new home, you just have to plan out the move to make it stress – free for everyone including your kids. When I decided to leave my home and job for seven (7) years and relocate, it took me several months to straighten things out. Good thing though that having a check list made the relocation much manageable. 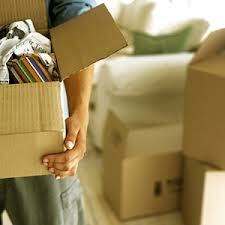 If you are moving with your children, explain the need for relocation. They shall be equally stressed as they leave their home, school and friends. Give them time to get used to the idea of moving out. Letting them get used to the new place would mean letting them participate in choosing a new home, designing it, touring around the new area and its neighborhood and other inputs to make them equally own the move. With your spouse, kids or family members identify home stuffs that need to be tossed ( or sold for supplemental moving – out resource) or be moved to the new place. Properly label boxes like if they are supposed to be fragile, clothing, toys, and alike for easier identification. A check – list of stuffs to bring can be quite handy. Packing by rooms can be quite smart too for easier reloading. Inform companies, friends or relatives of your supposed to be new address like if there are communications from credit cards and other bills. Settle bills – phone, electricity, water or rent / lease before you move out. Keep documents like IDs, passports, birth / marriage / employment certificates all intact. You may have a special box for all of these, so, they wont be misplaced. Plan out how you should transport all your furniture / appliances / clothing to a new place. You may hire a local mover, get aid from friends, rent a van or simply transport them through air / sea fare services. This would include too how and when you and your family shall relocate. Be organized when you pack your stuffs. You may color coordinate your boxes like black for kitchen, red for master bedroom and alike. However, care should be noted for stuffs that are fragile. When you pack, place bigger stuffs at the bottom and smaller delicate ones above. This would apply to furniture, glasses, toys and alike. String well your boxes after you taped them, so, they won’t be dislodged. Lastly, moving out can be more hassle free if you have plenty of time with you to settle stuffs from your old home to your new place. Hire help if you must, prepare a check list too and simply enjoy the transition.